Alkaptonuria (AKU) is a rare autosomal recessive disorder with incidence ranging from 1:100,000 to 1:250,000. The disorder is caused by a deficiency of the enzyme homogentisate 1,2-dioxygenase (HGD), which results from defects in the HGD gene. This enzyme converts homogentisic acid to maleylacetoacetate and has a major role in the catabolism of phenylalanine and tyrosine. To elucidate the mutation spectrum of the HGD gene in patients with alkaptonuria from 42 patients attending the National Alkaptonuria Centre, 14 exons of the HGD gene and the intron–exon boundaries were analysed by PCR-based sequencing. A total of 34 sequence variants was observed, confirming the genetic heterogeneity of AKU. Of these mutations, 26 were missense substitutions and four splice site mutations. There were two deletions and one duplication giving rise to frame shifts and one substitution abolishing the translation termination codon (no stop). Nine of the mutations were previously unreported novel variants. Using computational approaches based on the 3D structure, these novel mutations are predicted to affect the activity of the protein complex through destabilisation of the individual protomer structure or through disruption of protomer–protomer interactions. Electronic supplementary material: The online version of this chapter (doi: 10.1007/8904_2014_380) contains supplementary material, which is available to authorized users. DBA is supported by a CJ Martin Fellowship from the National Health and Medical Research Council (NHMRC; GNT1072476). DEVP is funded by the Brazilian agency Conselho Nacional de Desenvolvimento Científico e Tecnológico (CNPq). TLB receives funding from the University of Cambridge and the Wellcome Trust. Jeannette Usher declares that she has no conflict of interest. Anna Milan declares that she has no conflict of interest. Lakshminarayan Ranganath declares that he has no conflict of interest. David Ascher declares that he has no conflict of interest. Douglas Pires declares that he has no conflict of interest. Tom Blundell declares that he has no conflict of interest. This article does not contain studies with animal subjects performed by any of the authors. 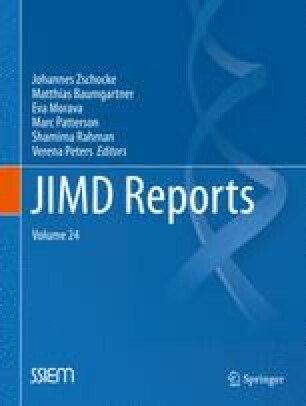 JU performed the sequence analysis of the HGD gene mutations, the analysis of the mutations with the freely available bioinformatics programs and the initial writing of the manuscript. DA and DP performed the computation modelling by MCSM and DUET and the interpretation of the results. AMM and LRR assisted with data interpretation and writing of the manuscript. TB reviewed the result interpretation. All authors contributed to reviewing of the manuscript.